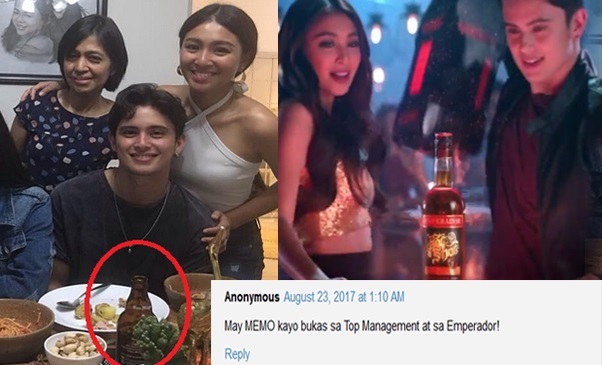 James Reid and Nadine Lustre have made an endorsement deal with alcoholic beverage Emperador. 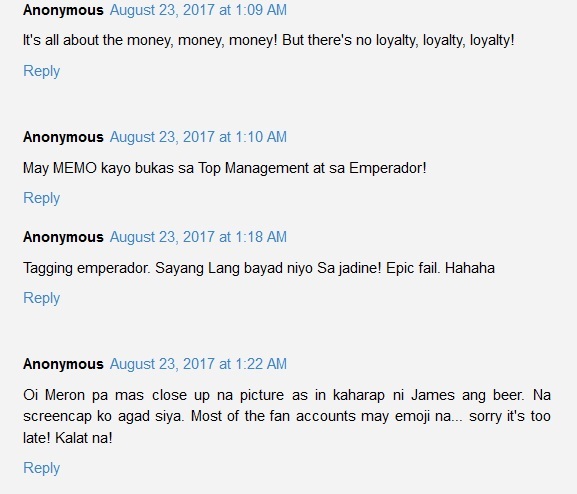 But, the two were accused by netizens of being unfaithful to the product they've endorsed. 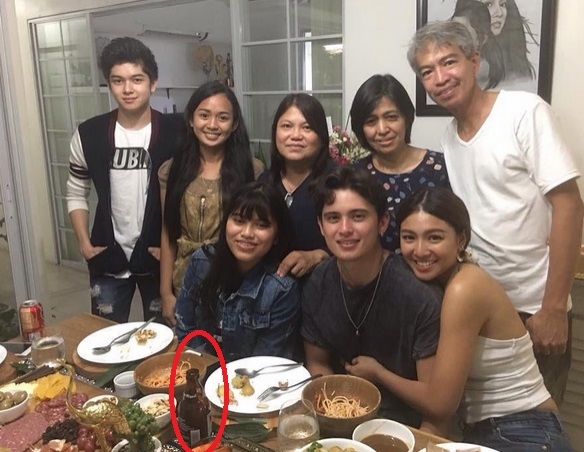 A photo, which was taken during the birthday celebration of Nadine's mom Myraquel, is now making rounds online as it shows them with a product of Emperador's rival, San Miguel Beer. Many believed that it was James' drink as it was placed on the table in front of him. 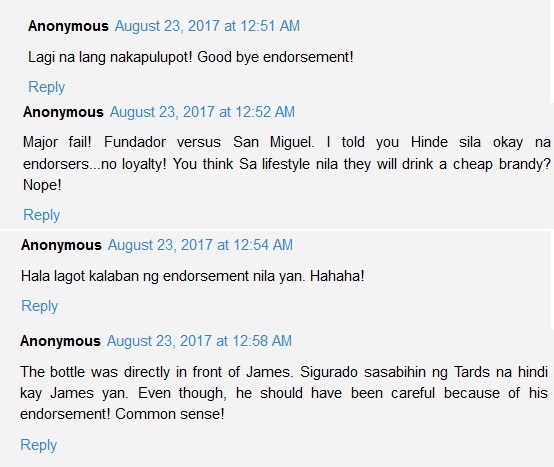 There was also a video showing the bottle on the edge of the table where James was standing at, which made netizens felt certain about it. Fans came to the defense of James Reid and Nadine Lustre. 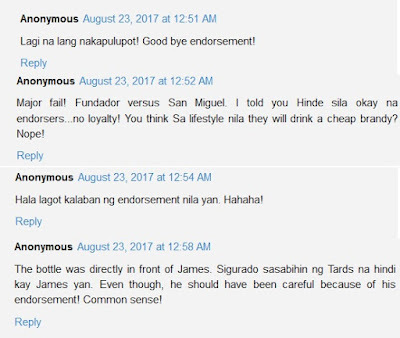 But some netizens were thinking that the loveteam might lost their endorsement for violating the part of their endorsement contract. What's your thoughts about it? Share it below!